Movement, growth and development are usually perceived as good things, especially when it relates to spiritual growth. Movement and growth usually mean change, but change is not always welcome. The gospel passage is based on the prayer of Jesus in the upper room for his disciples before major changes occurred: the cross, resurrection, and the ascension. There is a great deal of movement in the text which we will explore. We are also in a season of movement and change. Resurrection joy has moved on to Ascension glory and we are awaiting the celebration of the power of the Spirit at Pentecost. Some people like always being on the go and changing, others like the steady security of little or no change. 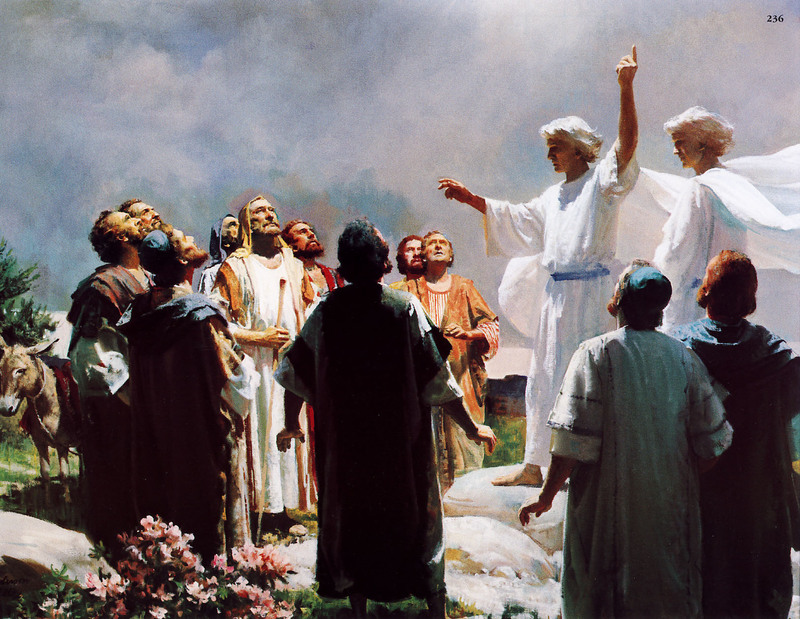 The ascension which the church celebrated this week is a key movement and event in God’s story. Against the backdrop of Jesus’ ascension, this morning I want to explore how the movement of Jesus as recorded in his prayer for his disciples, (which includes you and me) interweaves with our own movement and change in our life with God. I want to think about three movements which bring about change that are recorded in this text. First, there is the movement from glory to glory. Listen again to verses 1, 4 and 5: 1 After Jesus had spoken these words, he looked up to heaven and said, "Father, the hour has come; glorify your Son so that the Son may glorify you; I glorified you on earth by finishing the work that you gave me to do. 5 So now, Father, glorify me in your own presence with the glory that I had in your presence before the world existed. Does God change? I used think that God did not change and that it was a real security for my faith to dwell on the fact that God didn't change. The world around may be afflicted by the changes and chances of life, but God remains the same. But how can God remain the same if we believe God is incarnationally intimate with us as ultimately revealed in Jesus Christ? At the incarnation, God became one with us in a way that he was not before. One of the significant aspects to the Ascension of Jesus is that the fleshly humanity of Jesus is taken up into the Godhead. That very reality alters the Godhead. Indeed, when we consider this it is not just the potential material change, it is the fact that Jesus takes up into the Godhead his human experience as well. This movement from glory to glory is captured in the way that the Gospel of John speaks of Jesus as the one who was sent, who descended to the earth and the who will ascend back to the heavens. It is a movement of glory to glory. The former glory before God in Christ descended at the incarnation was a 'painless' glory, a transcendent splendour untainted by earthly grit. It was the glory of heaven untouched by humanity. But now that glory moves to a new glory. A glory brought about by blood and death, through the glory of the cross. It is the glory of God in flesh and blood, having tasted hunger and sorrow, completing the appointed time, completing the mission, and returning to glory: from glory to glory. As a result of God's glory on earth and revealed in flesh, as a result of God's glory seemingly snuffed out by crucifixion, God's glory now shines in a new, changed way. In the Ascension, earth and heaven are united in a new way, flesh and deity are intertwined. God changes and we are no longer the same. God's change means there is a second movement. It is a movement described from Jesus' perspective as, 'from me to you'; or in the third-person, 'from Jesus to us'. In Jesus' prayer for us, he tells what changes will occur because of the movement from glory to glory. Listen to these words of Jesus (read vv. 6, 7, 8, 3): 6 "I have made your name known to those whom you gave me from the world. They were yours, and you gave them to me, and they have kept your word. 7 Now they know that everything you have given me is from you; 8 for the words that you gave to me I have given to them, and they have received them and know in truth that I came from you; and they have believed that you sent me…And this is eternal life, that they may know you, the only true God, and Jesus Christ whom you have sent. The Word made flesh has disclosed the words of God and we now know God in a new way. When we recognize Jesus as the sent one, when we believe his message, we have eternal life. Jesus' mission is accomplished through the handing on of his knowledge to you and me. And what Jesus knew intimately was God, for he was with God and was God. In ascending to glory, he leaves in you and me intimate knowledge of God and the gift of abundant life. There is something spectacularly exhilarating about baptisms. I have watched adults come out of the ocean waves. I have seen young children dunked in a garden swimming pool. I have watched adults in a church baptistery come up out of the water. And I have stood by little babies made wet by the waters of baptism from an ancient font. In every case, there is an electricity of new life, new knowledge, new beginnings. Our baptism illustrates that as Jesus moves from glory to glory he passes from himself to you and me, intimacy with God and new life. At our baptism, Jesus comes to us in the Holy Spirit to make his home in us. A new relationship is initiated. The knowledge transfer begins. But the movement does not stop there. Our movement to life and knowledge is a process that is never finished. After all what is eternal life, but the uninhibited process of becoming, the process of continuing the transformation begun in faith and flesh. So there is the third movement, the process of now until tomorrow: the ever future tomorrow, the tomorrow which is always the day after; the tomorrow which is our hope. Listen to verse 11: And now I am no longer in the world, but they are in the world, and I am coming to you. Holy Father, protect them in your name that you have given me, so that they may be one, as we are one. In these words, the promise of tomorrow rests and depends on the now. 2000 years ago, Jesus goes from the world, taking flesh up to God so that all flesh may dwell with God. Because of that now, in the present, our now, we are protected so that we can move into tomorrow. The hope of tomorrow is the promise of being one with each other and one with God. Christ's movement from glory to glory, our movement to knowledge and life in Christ, is all part of the movement of now to tomorrow. Because of Christ’s ascension we have a real hope for the future. Because of all that Christ did and does we are being transformed, changed, made a new creation. We are becoming one with God. This is a movement that is constant (even in our spiritual ups and downs), but never fully realized. In our life with God every now has a tomorrow which moves us forward and closer and deeper in our walk with God. To conclude: three movements, from glory to glory, from Jesus to us, from now to tomorrow. Three movements which are intertwined and dance with each other in the now and in the tomorrow that is yet to be. In the now, we see Christ's movement from glory to glory, yet we await the glory that IS to be revealed. In the now we are coming to know God and have life, but tomorrow we will know more and have an even more abundant life. In the now, by faith we are one and we are one with God, tomorrow we realise oneness with God and with each other in a new and greater way.